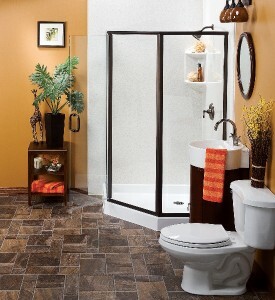 U.S. Patio Systems and Home Remodeling offers bathroom remodel services in Des Moines, Iowa, and other Midwest cities. Our founder and owner, Craig Dauffenbach, is a veteran home improvement professional who has established a company that reliably provides top-notch bathroom remodeling services backed by some of the best warranties in the industry. By choosing U.S. Patio Systems and Home Remodeling to remodel a bathroom in your home, you will be putting the project into the hands of a reputable local contractor that will help you to get the best possible value out of every dollar you spend. Compared to many of our competitors, we use better products, hire better people, and deliver better customer service at every stage of the remodeling process. To schedule a complimentary bathroom remodel consultation with one of our in-house designers, please contact U.S. Patio Systems and Home Remodeling in Des Moines, Iowa, today. We are open for business seven days a week and have a well-earned reputation for being one of the most service-minded bathroom remodelers in the region. Along with bathroom remodeling, we also specialize in basement finishing, sunroom installation, screen room installation, and pergola installation.